Arbitrage is the simultaneous buying and selling of securities, currency, or commodities in different markets or in derivative forms in order to take advantage of differing prices for the same asset. Everyday there are thousands of markets, trading billions of dollars in the cryptocurrency sector. There are always price differences between trading exchanges and profiting from those trades is called arbitrage trading. New exchanges and markets arrive constantly, making arbitrage opportunities more and more common. In order to maximize on the profits of manual cryptocurrency arbitrage, a person must have deep understanding of the market and monitor hundreds of arbitrage trade opportunities while having a method to quickly act upon the arbitrage opportunities when they are presented, without making any errors. We have built bots that are able to run 24 hours a day and make it simpler than ever to monitor cryptocurrency arbitrage opportunities. Our bots are also capable of executing trades with a click of your mouse, making the process far faster and more efficient to complete. We have built a highly advanced arbitrage bot that is capable of working 24 hours a day creating passive income, doing all the hard work of completing the arbitraging process for you. The margins produced by the aBOT since public inception have averaged around 0.7% per day. aBOT has no locks, meaning all users are free to stop their aBOT and remove their trading value anytime they want. aBOT is the tool of choice for users who like to sit back and enjoy benefiting from arbitrage margins completely hassle free, eliminating the time and energy it takes for a trader to manually do all the work themselves. 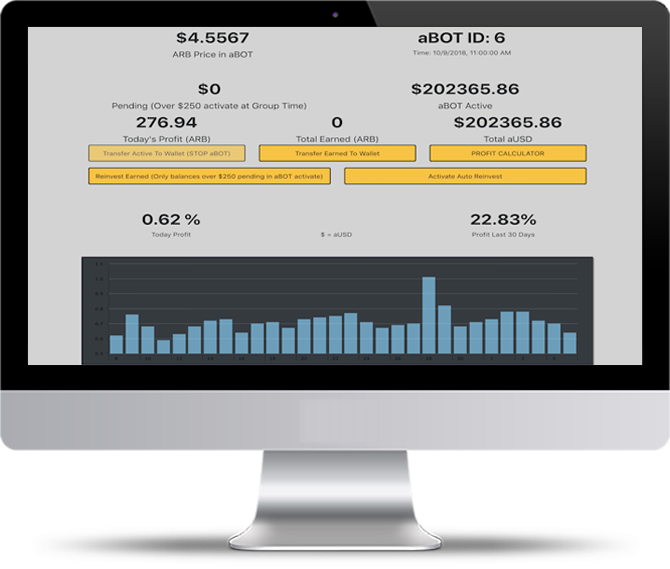 The mBOT provides users with the ability to effectively monitor and execute real-time arbitrage opportunities with a mouse click from the comfort of one single dashboard. Our mBOT technology also allows you to perform lightning trades which reduce latency issues that can be associated with some arbitrage trades. 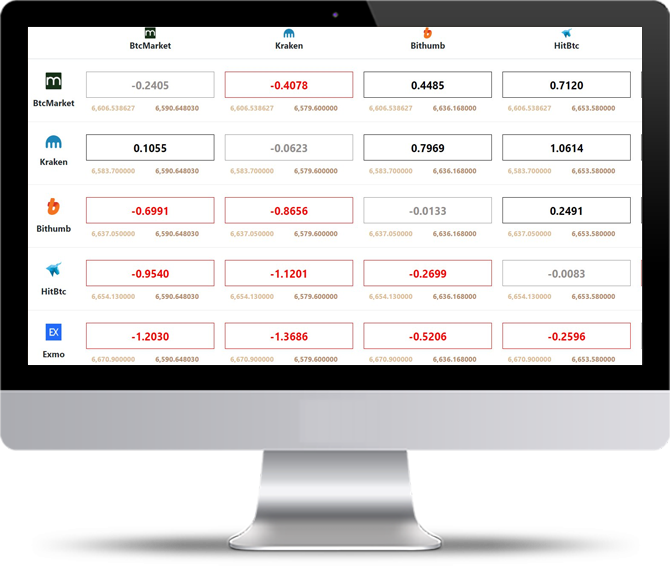 The mBOT gives every user the ability to be a true cryptocurrency arbitrage trader, while eliminating most user-made errors. The mBOT requires users to set up their own market opportunities, but once completed, it allows the ability to arbitrage trade in multiple markets in multiple coin pairs.